Want Your Kids to Read Faster & Better? Sign up & Get 2 FREE Weeks of access to RedCatReading.com! 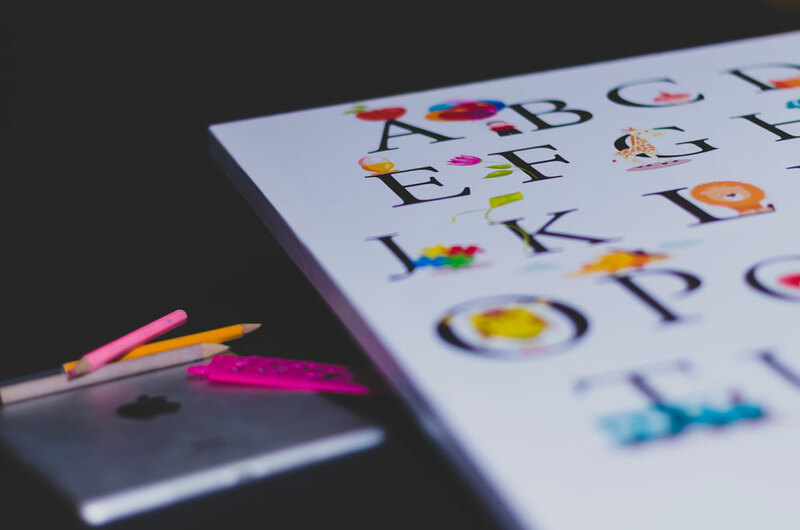 Learning the English alphabet is one of the first major academic challenges your children will face in life, and it’s also one of the most important. After the first year in school, 1/3 of 6-year-olds are struggling with reading. After two years, 14% of students are still struggling with reading and falling progressively more behind their peers. 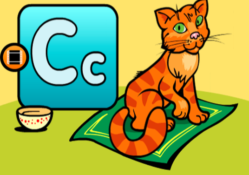 At Red Cat Reading, we help children learn and master their ABC’s using advanced and specially designed games, videos, and even abc songs so that they are way ahead of their peers before they ever step into the classroom! For many children, learning the ABC’s doesn’t begin by memorizing the alphabet: It begins with their parents reading stories to them. By age 2 or 3, children who are regularly read to, start to realize that books are made of text and the text is made of letters. 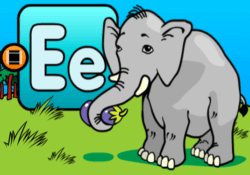 This helps create an awareness of the importance of the English alphabet while also helping facilitate a better overall understanding of basic speech and communication skills that aid your child throughout their entire life. Children who already know the ABC’s before school starts are about 1 year ahead of any peers who didn’t learn them prior to starting classes. So while the other children are playing alphabet phonics games and learning the alphabet, your child is already reading and building their vocabulary. It is not uncommon for teachers to provide more personalized attention to students who already know the ABC’s and are reading. Over time, this specialized attention and a growing vocabulary will help expand your child’s lead over their peers and help set them up for greater success in all phases of life. Helping your child learn the ABC’s before school starts means they don’t have to worry about struggling with reading in class. Up to 1/3 of all 6-year olds are struggling with reading after the first year of school, which can create social stigmas, aversions to school, and lead to lower overall success in the classroom and beyond. But instead of struggling, children who learn the ABC’s before school starts actually tend to “take off” academically, socially, and emotionally. Their self-confidence and motivation soars with each new book they read. For most children, alphabet learning begins with listening to the stories read to them by their parents. In particular, regular reading helps expand their knowledge, facilitate greater communication skills, and most importantly, it helps your child understand that the stories change depending on the text inside the books (or iBooks) and that the text is made up of letters from the alphabet. From there, you can begin reading along with the child and sounding out words to start teaching the ABC’s. Next, help your child identify and remember each letter in their name through repetition and positive reinforcement until they’ve mastered it. Once they have memorized the letters in their name, you can start playing simple alphabet games with the letters in their name. So if the child’s name is Dan, start by listing 3-5 simple words that start with “D” and use repetition and positive reinforcement until they have memorized the list and then move on to “A,” and so on. The point is, get them engaged in learning their ABC’s but keep it simple enough for them to score easy wins and build their confidence. 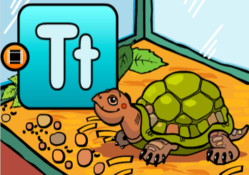 Alphabet games are a great way to connect with your child! When learning is fun, it’s easy for children to master their ABC’s. 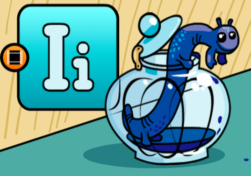 So instead of making learning about memorizing the letters of the alphabet, make it one big game. 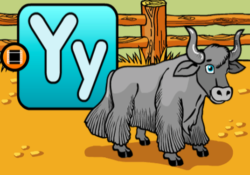 Specially designed ABC games, videos, and even songs are great educational tools for younger children because they make learning seem like a game instead of hard work. Even simple things like buying magnetized letters for your refrigerator can transform snack time into a great learning opportunity. Write the ABC’s – just pick a letter of the alphabet from the fridge and ask your child to spell and write down five words that begin with the letter you selected. 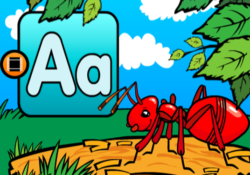 ABC worksheets can help kids learn to write while they’re learning the phonics sounds. Alphabet word games don’t have to be hard or complex to be very effective – remember, just make it fun and your children will do the rest! For parents with loads of free time, regular story books can effectively teach children the ABC’s but they aren’t very efficient. Even selecting the wrong books to read to the child can actually hamper learning and growth if the material isn’t specifically designed to teach phonics or the alphabet. 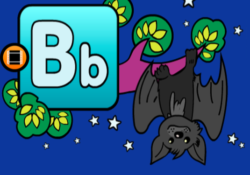 At Red Cat Reading, we take a very unique but scientific approach to teaching children the ABC’s. 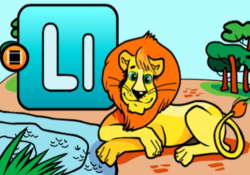 Instead of relying only on traditional books that can be a bit boring for the child, we employ specially designed animated graphics, videos, ABC songs, and ABC games. 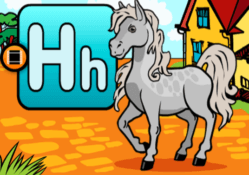 Every resource is based upon phonics and specifically designed to help your children learn alphabetical sounds. 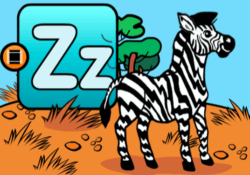 Our reading system actually breaks the process of learning down into step-by-step components that gradually introduce sound-spelling patterns at the appropriate time for your child’s skill level. Now here’s the best part: because we know you have a very hectic life and busy schedule, all the resources in our system are available in a downloadable format and accessible on any device with internet access! 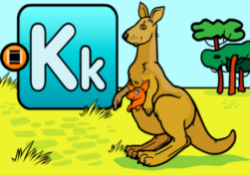 So you can help your child learn the ABC’s anywhere or anytime that is convenient for you! 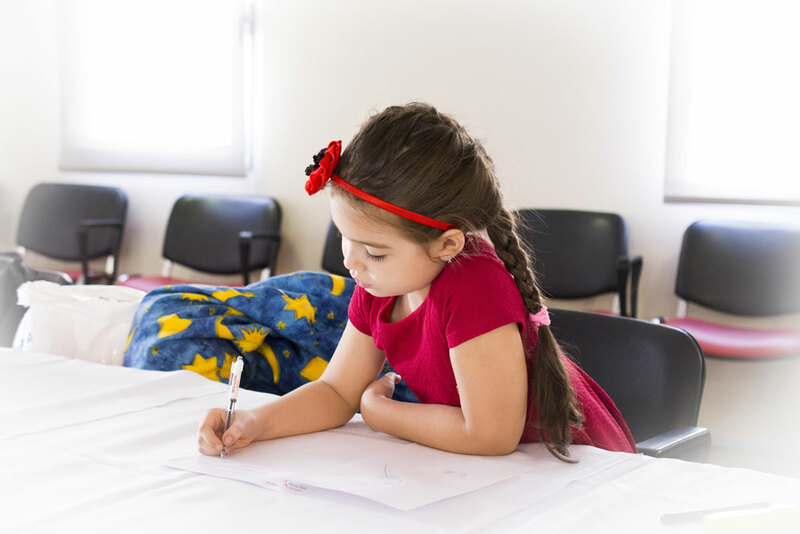 From learning the ABC’s to full reading mastery, Red Cat Reading is here to help your child’s success today, tomorrow, and throughout their life! 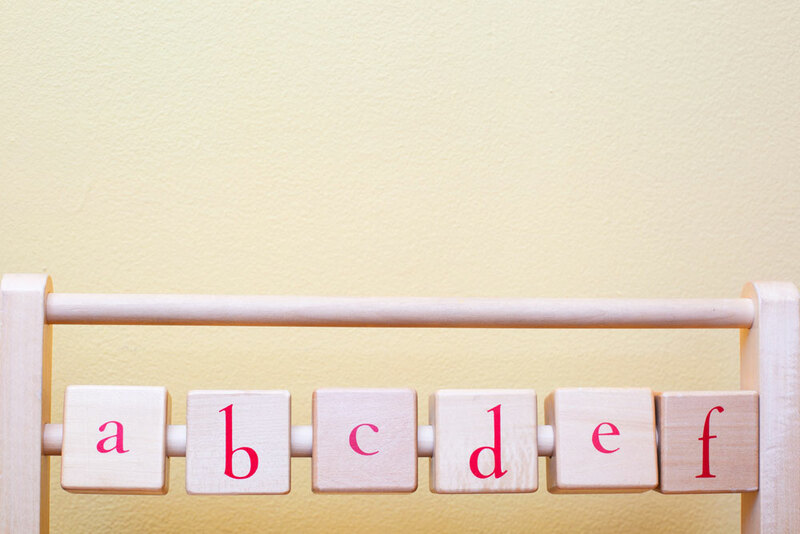 Learning the ABC’s is one of the first and most vital academic challenges any child will ever face. If they learn the ABC’s before school starts, they will typically enjoy a growing advantage over their peers in both school and life itself. If they fail to learn their ABC’s before school, however, they may struggle with reading and academic success for years to come. At Red Cat Reading, our deceptively simple videos, songs, and ABC games are all components in one of the most advanced reading mastery systems ever developed. 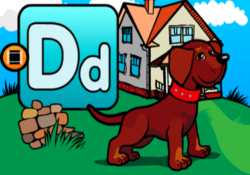 Although we make learning to read fun and exciting, every video, song, and ABC game is designed to help your child achieve a specific objective on their way to reading mastery and overall success in life! Sign Up to Our Free Trial (or Sign In) to Download Books! 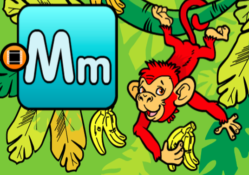 Want Your Kids to Read Faster & Better? Sign up & Get 2 FREE Weeks of access at RedCatReading.com! 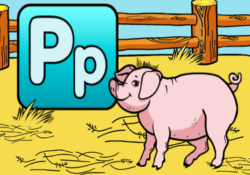 Introduce your child to the English alphabet through playful animated illustrations of their favorite animals and creatures. 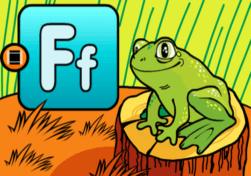 Talking ABC Animals for Kids (Enhanced Version) is the perfect alphabet learning tool for your toddler. 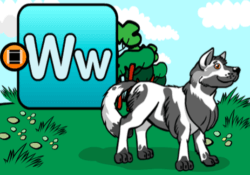 Each colorful animal illustrations come to life through animation and video as your child explores the scene. 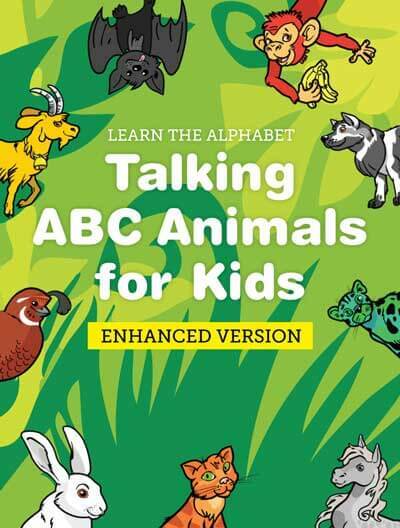 Talking ABC Animals for Kids (Enhanced Version) will keep your child’s attention while they absorb the alphabet with their animal friends. 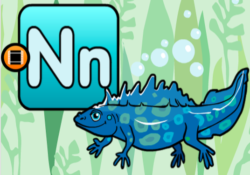 Not only are the animals and letters presented in colorful artwork, full videos of each animal in its natural environment will help your child recognize them even better than before. Hidden animation on every scene will keep your child’s mind engaged and attentive! Your child will learn the alphabet with ease with a friendly voice guiding them through the book. 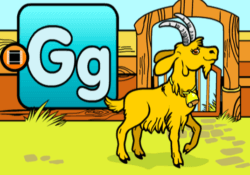 They’ll hear the name of the animal, the name of the letter, its proper pronunciation and a simple phrase matching the animal with the colors and places. 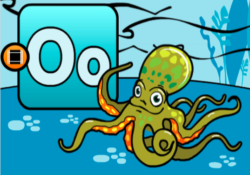 Hidden in each scenario is a high resolution video showing the animal in action in their natural environment. 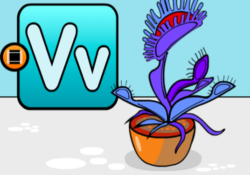 Plus, these videos are accompanied by full audio sentences to teach verbs and other actions. 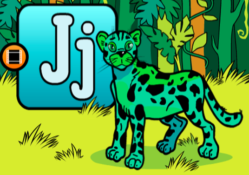 Kids will have so much fun learning the English alphabet with interactive animals! 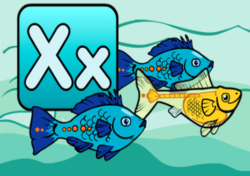 – Big buttons perfect for young fingers! 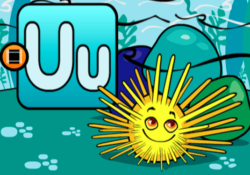 My young daughter loves this book, especially the cute animations and sounds. She can say the ABC’s really well now! Anna C.
Your books are always funny and entertaining. My toddler enjoys reading this book on our iPad again and again. Samantha H.
My 3 year old son needed some help learning his ABC’s. He could use this book all by himself which is really great for busy parents. Richard P.
Review the ABC’s with your child now! Your children already LOVE games, apps , songs and videos. So why not help make learning the ABCs fun with effective methods – instead of boring books? 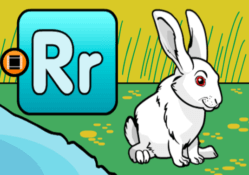 That’s exactly what you get at RedCatReading.com – fun lessons based on phonics that help your toddlers learn how to read and master the alphabet. In fact…you can 2 weeks of access to our reading program for free! 100% Risk Free. No Credit Card Required to Join. Join Now to Get Your FREE Red Cat Reading Account. Simply fill out the form to join Red Cat Reading! Take 10 seconds to join and we’ll give you 2 FULL weeks of access to the Red Cat Reading Program. 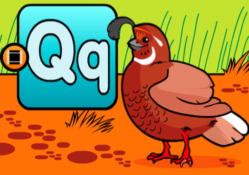 Your child will learn the ABCs fast with our phonics games, songs and video lessons.